Since July 2007 when Mad Men first premiered on AMC and Don Draper and Peggy Olson stole the hearts of millions of viewers, ad agencies across the nation held their breath at the potential backlash of stereotyped ad men (and women). 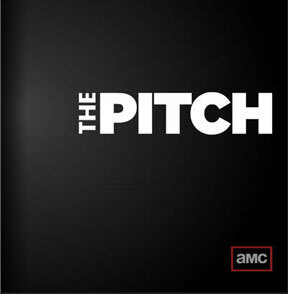 Five years, fifteen Emmys and four Golden Globes later, Mad Men’s success has helped AMC create The Pitch, a new program that takes a behind-the-scenes look at various agencies pitching big ideas to a specific client. While Mad Men’s success has been contingent on fascinating characters with a variety of plot lines that include adultery, alcoholism, counterculture, identity, racism and sexism. The Pitch attempts to dive deeper into the creative process that an agency goes through when pitching an idea to a client. The Creative Process: The most captivating part of agency life is the creative process. How an idea comes to fruition changes with each client and each project. Creativity is the essence of advertising and while it may be the most attractive part of the job, it can also be the most difficult. Regardless of your agencies specific creative process and genius, Mad Men and The Pitch reveal that if your big idea isn’t on point with the client’s direction and goals, you will not be bringing that client on board. Relationships: The agency/client relationship is essential to staying afloat in advertising. If your client does not feel that you are an advocate for their business, they can and will find someone that is. Relationships are a key factor in Mad Men’s client base and without a strong agency/client relationship there won’t be any business coming in. The ‘It’ Factor: In the great big world of advertising it takes a little extra ‘something’ to stand out. Next time you’re watching Mad Men or The Pitch ask yourself who has the ‘It Factor’ and what exactly that means for that specific project. Sometimes it will be an engaging digital ad or maybe it’s a combination of a great idea with the solid relationship the agency has with its client, but whatever ‘it’ is, make sure someone in your agency has it.